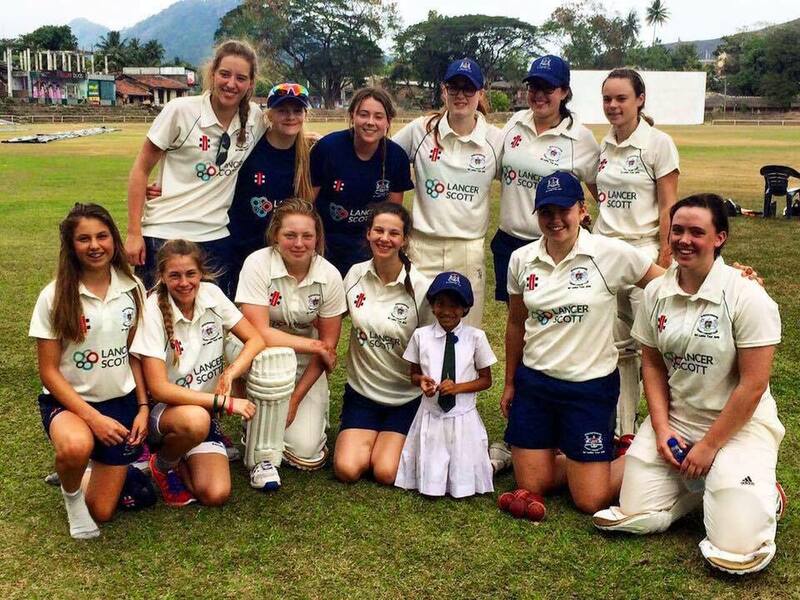 During the February half term from 9th to the 21st, four Frenchay players went on the first Gloucestershire cricket tour to Sri Lanka. After being selected by the county, myself (Emily Wilkins), Emily Locke, Naima Milhofer and Natasha Wraith spent 12 days abroad, competing in 5 matches against testing sides including the Sri Lankan Womens’ Academy squad. Although adjusting to playing in such different climates proved very challenging for every one of us, we all succeeded, completing personal goals and making clear progress, in the field, with the bat and the ball. 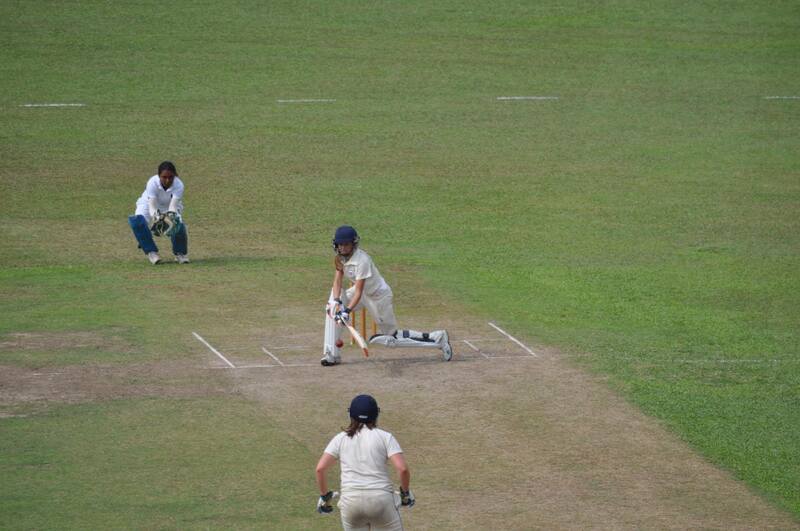 With both myself and Natasha being wicket keepers, we equally shared the opportunity and performed outstandingly, withstanding the full 40 overs in 30+ degree heat and incredible humidity. As well as wicket keeping, we were both successful with the bat, with me scoring a respectable 65 (not out) in the final match as part of a 195 run partnership and Nat (whilst battling through illness) fulfilling her role with a couple explosive innings- in one of which she managed to hit a Sri Lankan Academy bowler for a six before reverse sweeping another for four later in her innings! Emily Locke contributed to the bowling taking wickets in all but one game, showing great potential with her relatively new leg spin bowling whilst also showing progress and making some great stops in the field. Finally, Naima contributed exceptionally with the bat, ball and in the field whenever she was given the opportunity- picking up her share of wickets as well as aiding the team’s cause with scores of 25 and 37 over the tour. She also gave everyone a lesson in “expressive” dance to help us through a three hour train journey from Colombo to Kandy (don’t worry we have plenty of video footage of this)! We came away with 4 out of 5 wins and a lot of positives as well as a few things to work on before the new season begins. As a team had lots of time to bond and become much closer as a whole, also spending time at an elephant orphanage, tea factory and city tours around Galle, Kandy and Colombo. We’d all would like to thank everyone who sponsored usas well as Gloucestershire County Cricket Club and the GCB who all made it possible for the trip to take place. BUt most importantly we need to send another large thank you to Frenchay CC, for their generosity and continued support in all of our development. For more pictures go to the gallery.